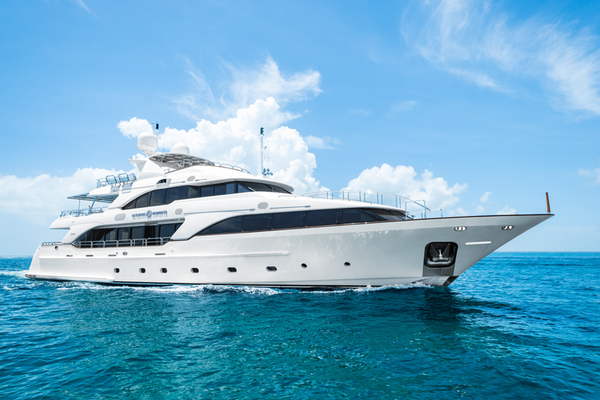 United Yacht Sales New Jersey would love to guide you through a personal showing of this 129' Newcastle Expedition Yacht 2013. 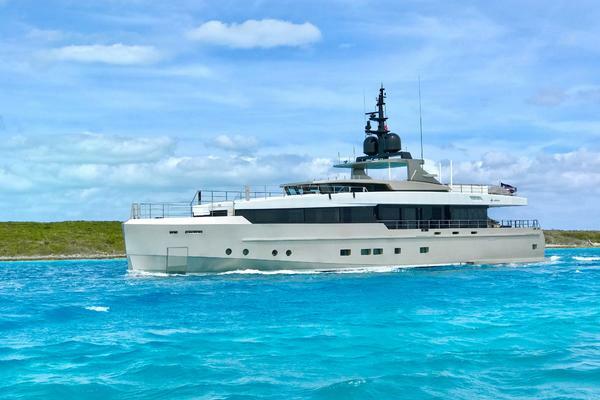 This yacht for sale is located in Ft. Lauderdale, Florida and priced at $16,750,000. For a showing please contact us by filling out the form on this page and we will get back to you shortly! LOWER DECK:Five staterooms with 1 full beam master cabin below decks amidships. Guests are accommodated in two twin and two double staterooms forward of the Owner’s stateroom all with en-suite bathrooms and all located on the Lower deck. MAIN DECK:A spacious and light filled interior with dining for 10 forward of the main salon on the main deck. Further seating environment is provided on the main deck aft. BRIDGE DECK:The spacious bridge deck sky lounge provides a comfortable and light filled environment. Al Fresco aft deck dining on the bridge deck allows for further dining enjoyment. The gym is aft of the bridge and hosts a treadmill, weight bench, dumbells, and a stationary bicycle. The impressive boat deck area carries a 2016 36’ Hunt classic. SUN DECKShe has fantastic outdoor deck spaces with a bar and generous lounging area surrounding the Jacuzzi on the Sundeck.